Overnight Friday Night: Partly cloudy, cold. Lows in the single digits. Saturday: Early sun, then clouds. Snow south. Highs around 20. Sunday: Cold and windy. Partly cloudy. Highs in the teens. It’s cold – is this record cold unprecedented? It depends on your perspective, but in general, no. Weather vs. Climate and how, if at all, this cold relates to global climate change. Thursday, New England set daily records for nearly every official observing site in the region for coldest high temperature for the date. Some daily records are more vulnerable than others – for instance, the coldest high temperature in Boston for December 28, prior to Thursday’s record of 12° was 18° set in 1924 – 18 isn’t that impressive for late December. Friday, for instance, the daily record cold high temperature is 5°, so we’ll be nowhere close to breaking the daily record Friday. Similarly, Saturday’s standing record cold high temperature for Boston is 2°, so that’s also not going to anywhere close to being broken. Looking in the days ahead, there aren’t any days with records so vulnerable as the one we broke yesterday, though the New Year’s Day record cold high temperature is 10° and we’re currently forecasting a high of 12°, so we’ll keep an eye on Monday. The record for longest stretch of high temperatures at or below 25° in Boston is 10 days, set in January of 1961 and again in February of 1979. Though we’ll come close, if our 10-day forecast verifies, Boston will rise to 25° on Wednesday and Thursday, making for a string of seven days (tied for 4th longest in recorded history)…but our forecast is 25° and 26° next Wednesday and Thursday, respectively, so a slight error could extend the stretch all the way into next weekend, which would set a new record of 11 days. In the more immediate future, we’re just trying to get above 20° after failing to do so Wednesday, Thursday and Friday. The record string of days at or below 20° for Boston is five days in February of 1979, and if Saturday fails to reach above 20°, we may break that record with a new installment of arctic air headed our way for early next week. How about the New England Patriots game this Sunday? It’ll be cold, for sure – the game time temperature will probably be somewhere around 16° with a wind chill of 0 to 5° above, but that’s not a record – the coldest Patriots game ever played at home was against the Tennessee Titans in January of 2004 at 4°. What about New Year’s Eve? 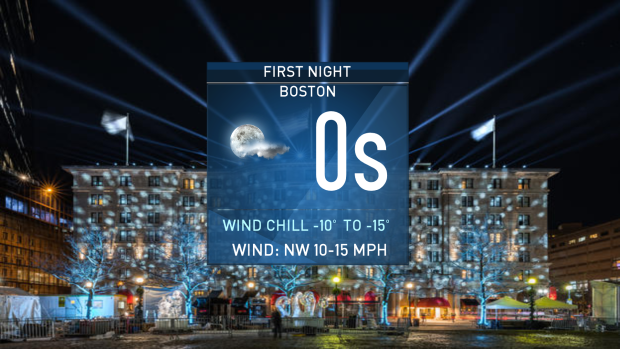 I mentioned above that New Year’s Day is in contention, so could this be a record cold First Night for Boston? Nope. Temperatures will be in the single digits with wind chill of 10 to 15 degrees below zero, but we’ve seen temperatures well below zero before. Finally, what about the notion that the recent cold air dispels concerns of global warming? That contention can be answered without any involvement of politics, whatsoever. The beauty of science is that is data-driven, and although interpretation of data can sometimes be skewed or misconstrued, actual data cannot. Is this current blast of cold in the Eastern United States a sign that global warming is not ongoing? There are two approaches to answer that question: weather is not climate, and global is not the United States. Regarding weather versus climate, “weather” is short-term events (on the scale of days, weeks and in the case of seasonal patterns, even months), while “climate” is over the very long term…the scale of decades or more. In the past, when there have been claims that large storms were the product of global warming, I’ve been quick to clarify that no individual storm is the direct result of a changing climate – perhaps decades of storm path change or intensity can be, but not one or a cluster of events. The same can be said on the other side of the coin – a persistent cold pattern does not define or negate a climate shift. This recent cold does nothing to offset the fact that New England has seen a huge change in the first and last frost dates over the last generation – Boston, in particular, gained two months of frost-free growing season between the 1988 average first and last frost dates to now. Even just looking at the last 30 days, instead of only the last three, and looking globally paints a different picture. The image here indicates temperature anomaly – how much warmer or colder than normal – globally over the past 30 days (ending December 26, for data quality purposes, it takes a few days for data to be quality checked). Notice the pockets of cold and warmth – the small cold pockets are intense, but limited in scope to the reach of warmth. This isn’t a surprise – in fact, it matches our team winter forecast for New England, in which we mentioned the last several years have shown rather small but intense pockets of cold, and New England may be on the eastern edge of one this season. Expanding the timeframe to include the past 90 days – still “weather” rather than “climate” – shows a similar structure of small cold pockets, though the intensity lessens and warmth becomes more pervasive. Keep in mind, both 30 days and 90 days represent weather patterns rather than long-term climate, so even simply looking at short-term weather dispels any notion that recent cold can be matched against long-term climate patterns since that thinking holds no water against even a longer glance back at our recent weather. 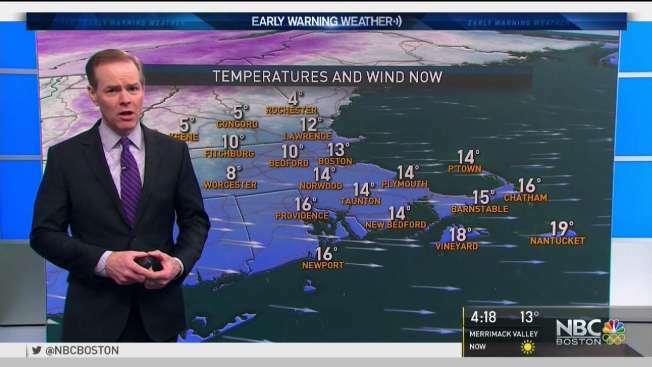 In summary: we are setting records for cold and we may set some more in the coming days, but that is the nature of New England weather (not climate) – it has been for generations, and it will be for generations to come.